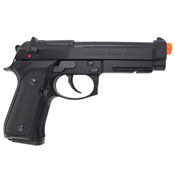 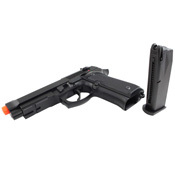 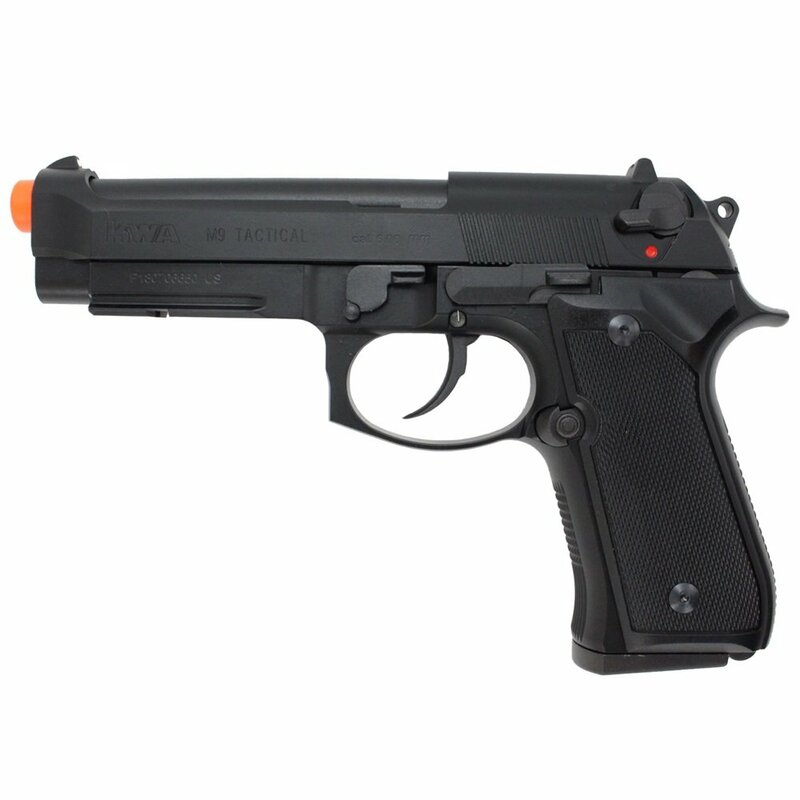 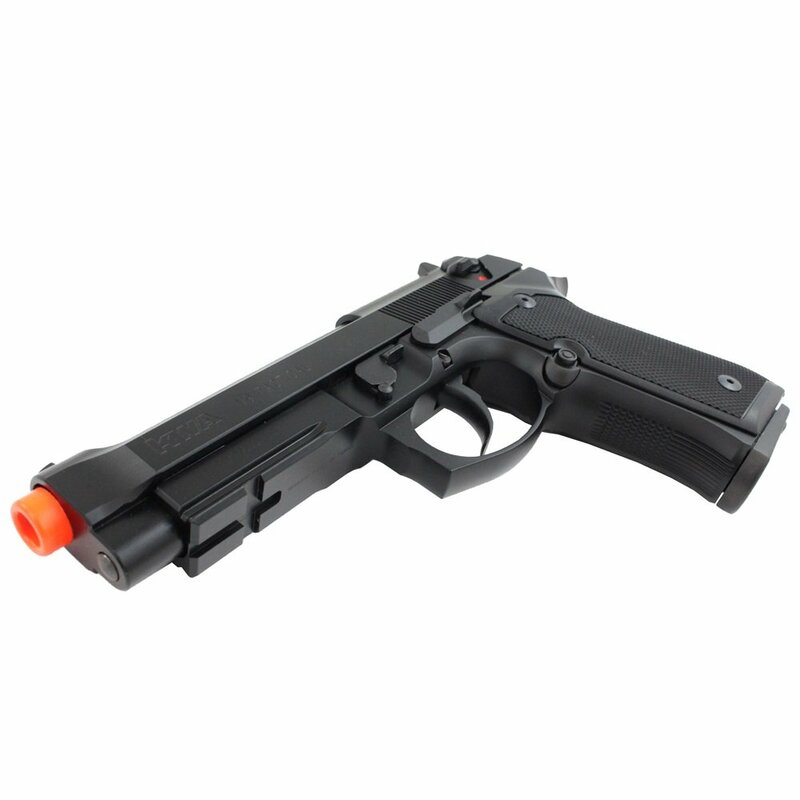 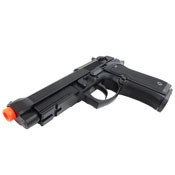 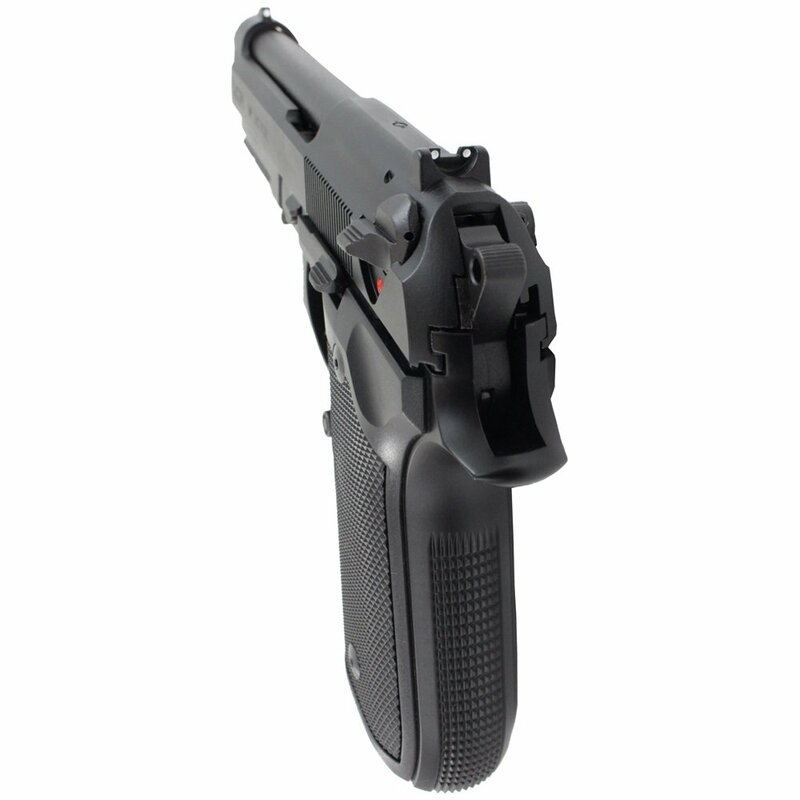 The KWA M9 PTP Tactical is a Professional Training Weapon for airsoft MilSim players. 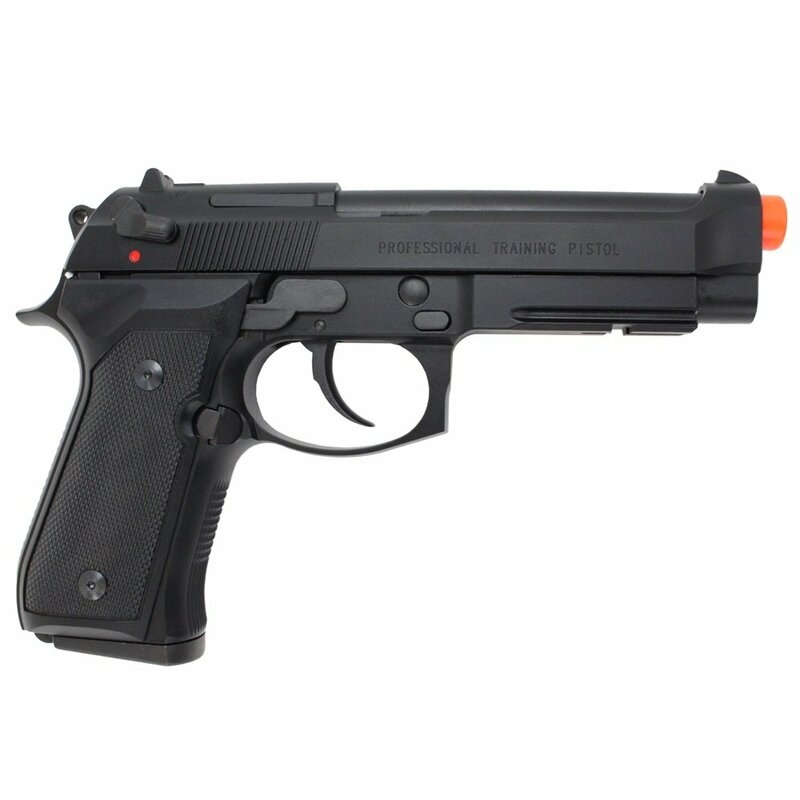 With a full metal construction, this pistol was designed to imitate the exact weight and balance of the real steel M9A1 used by the U.S. Military. 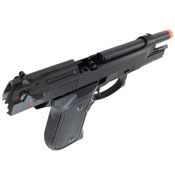 Using KWA's revamped NS2 green gas system, the M9 PTP provides faster cycling and snappier blowback than other GBB guns. A decocker lets the hammer fall on a live round without triggering it to fire, either by blocking the hammer or retracting the firing pin. 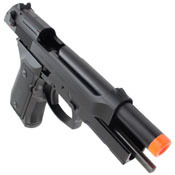 This eliminates the need to dry fire in order to return the hammer to its decocked state.